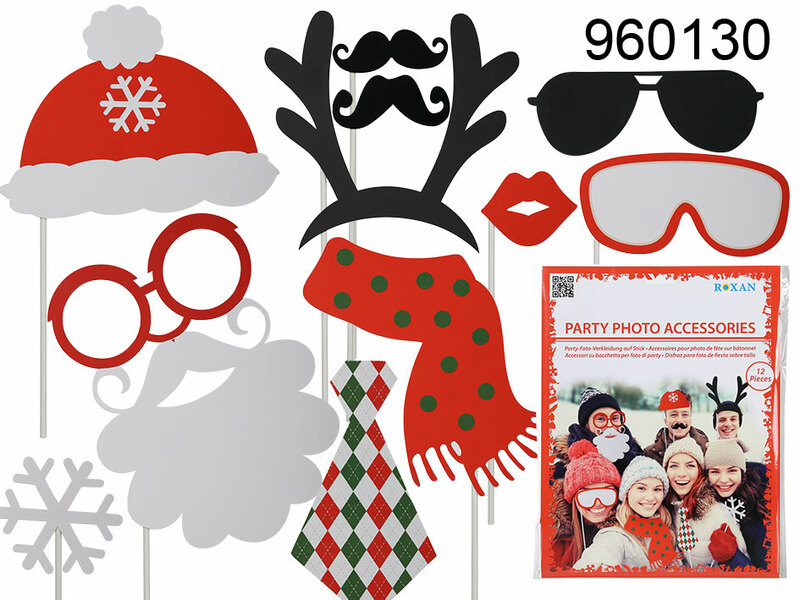 Set of 12 colourful paper photo accessories on a stick with fun Christmas and winter themes. Perfect for photo shoots and parties. Great item for winter trips and office Christmas parties. The set includes winter themed items like winter hat, ski goggles, Santa's beard or reindeer horns. Each piece has its own stick. Size: 30 x 23 x 2 cm.